It’s a new vegetable, it’s easy to grow and it’s called Misome. 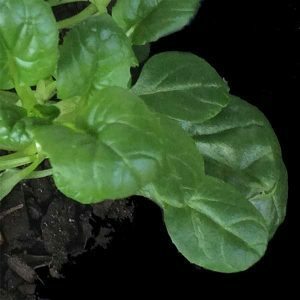 A leafy green hybrid vegetable that is fast growing and very tasty. The botanical name is Brassica campestris narinosa and it is a hybrid between two other Japanese leafy green vegetables, Komatsuna and Tatsoi. The leaves are heavily textured, a little like Kale, glossy and tender. The flavour tends to intensify as the leaves mature. This is a ‘cut and come again’ vegetable that can be grown in containers as well as in the vegetable garden. Grow it from seed, or from seedlings. Fast growing and ready to harvest in around 4 weeks from planting the taste is nutty with a slight mustard flavour. Seeds can be sown directly into the vegetable garden. The best time to plant is between spring and early summer. You can also plant in late summer. In warmer climates you could plant year round if adequate moisture is available. Use a a good organic soil with some mushroom compost and aged manure mixed through. Choose a position in full sun to afternoon shade. Keep seeds and seedlings moist until plants are established. Seeds should germinate in around 7 days as long as soil temperature is above 12 C.
Thin plants to around 10 cm apart. Mulch around plants to help retain moisture and keep weeds at bay. Harvest after 4 weeks when plants should reach around 20 to 30 cm in height. Try Misome in a stir fry with these ingredients.